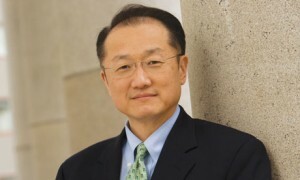 World Bank Group President Jim Yong Kim will visit Saudi Arabia, Lebanon, and Jordan from June 1-4, to focus on the “challenges and opportunities facing the Middle East and North Africa (MENA) region and underscore the Bank’s commitment and support. In a roundtable meeting Thursday with a group of journalists, World Bank President said that he is looking forward to his upcoming visit and that he wants “to go in with a message that I have not heard very much, but it is one that I hope will resonate especially with the 100 million Arab youth. We feel that we want to work with this Region and work with the countries that we’re visiting with the entire Region on a vision of hope.” “We want to begin to try to lay the foundations of what we feel could be a much more optimistic path. Something happened with the openness that we saw during the so-called Arab Spring, and that openness is something we have to build on,” he added. He stressed “we have to help these countries build resilience and our main themes are jobs, governance, inclusion, and private sector growth. And we feel that we’re extremely well-equipped, along with our partners, but especially with the World Bank Group to help on all of those areas.” “I want to send a message, especially to the young people to encourage them to continue to think about what is an optimistic vision that even may push us toward being ever more serious about taking the reform process to the next level and really building a vision for a growing, integrated, inclusive Region,” he remarked. Kim noted “we are planning right now for what our actions will be once the fighting stops,” in Syria, but “we’re not sure when that will be.” “We hope it is as soon as possible, but we don’t think that we can wait until after to begin planning. We’re planning right now. We’re preparing for peace in a way that we hope will even perhaps give warring factions a vision of what might be if there were peace so that peace may be realized even sooner,” he added. In reply to a question by KUNA on the importance of economic diversification in the Gulf countries, the World Bank President emphasized that “the benefits of having all of the income from oil has been that countries like Kuwait have been able to invest more in health care, in education, in improving the human capital of the country.” “But again, I think that every country in the world now has to sit back and prepare for the time when their natural resources run out. This is as true in the Middle East as it is in some African countries,” he noted. “There is a tremendous opportunity right now for the oil-rich countries, the GCC countries, to sit back and think, okay, so what do we need to do to prepare for the future? There is some of that thinking going on,” he stressed. He also stressed the importance of health case, noting “there are very specific things we know about how to make your populations healthier so that they are more productive.” He added “there are so many things, the kinds of infrastructure investments that are made, the kind of business environment that you build that could put them at a very strong position for when the oil revenues run out. These are things that are good for society, anyway.” On the other hand, Kim stressed “we work in very tough situations all over the world. We work in some of the poorest countries in Africa. We work in conflict zones all over the world. And we want to bring a message that there are things we can do right now in terms of our support for Jordan and Lebanon.” “There is so much we should be able to do in increasing our global support for Jordan and Lebanon, and we need to prepare for peace now. And we need to provide a vision for what this Region … might look like after the conflict, especially in Syria, has died down,” he affirmed. He continued “it is a vision for what we can all accomplish together, and we want to bring to the Region some of the great innovations and exciting ideas about how to build more regional integration, for example, that we’ve learned in other parts of the world.” “That is what the new World Bank is going to be. The new World Bank that we’re building right now is one in which any innovation that has happened in any part of the world will be available to every country that is part of the World Bank Group, and we think that there are tremendous insights from Africa, from Latin America, from Asia, that may be very helpful in this Region, but that’s the conversation we want to have and not simply lament the fact that there’s no peace,” he noted. He added “we want to change the discussion toward one of optimism, commitment, and conviction to build that post-conflict world that I think people throughout the Region want.” “We are very committed to finding a solution. We are committed to the Region. We are committed to continuing in the area, despite the obstacles, because it is so important not just for the Region but for the world,” he affirmed. During his four-day visit to the region, Kim will meet with heads of state, government leaders as well as private sector and civil society representatives “to discuss how the World Bank Group can best continue supporting countries in the MENA region to promote sustainable growth and shared prosperity.” Discussions will also revolve around “fragility, building regional resilience and cementing partnerships to address cross border political and economic shocks through strengthening the capacity of cities, towns and local communities.” This will be Kim’s first visit to the three countries since assuming his post as president of the World Bank Group in July 2012. Kim said “part” of the reason of him going to the region is to “bring the attention of the world as much as I can to just how much Lebanon and Jordan have been doing, not just for the Syrian refugees, but for the world. I mean, they are playing a critical role of the entire world in absorbing refugees at that number; Turkey, as well.” “My purposes in going, looking at the actual situation and then, once again, trying to use my position to broadcast to the world that this situation is getting worse, this situation gets more critical with each passing week and month and that, so far, our own feeling is that we could do much, much more, that there could be much more aid coming in, in fact, even within our own programs, we can absorb more donor assistance and just expand the programs that we have. So, it’s one of the primary purposes of the trip,” he reiterated. According to the World Bank, its active portfolio in the MENA region, which is currently at USD16 billion, has been growing “steadily” over the last few years. New World Bank Group commitments for fiscal year 2014 are close to USD five billion.